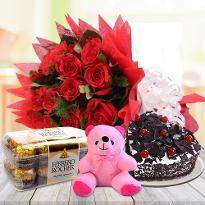 Sending gifts to Vizag is now convenient with online gift portals. 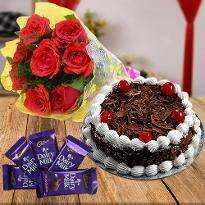 Cake and flowers together make a perfect gift for a birthday, Valentine day or any other occasion. Let the bouquet of flowers speak the language of love and your feelings when words just won't suffice. 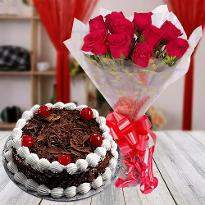 When flowers are coupled with cakes then it makes a perfect gift that exudes feelings of the heart. 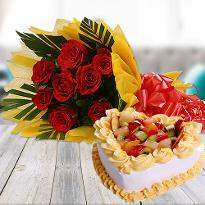 Order cake and flower delivery in Vizag to showcase your emotions in front of your beloved one. 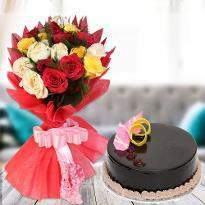 Winni’s Cake and flower delivery in Vizag will delight the residents as it is available throughout the city. 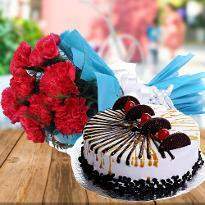 We also provide midnight cake delivery in Vizag, as you’ll be busy; we take care of all the formalities. 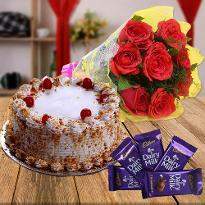 We also have eggless cake delivery in Vizag to the ones who have certain choices related to eggs and eggless cakes. Yeah, we know it’s your best friend’s birthday. Yeah, we know you want to gift something special to your mother. And yes, we are aware that you want to celebrate success party at the office. 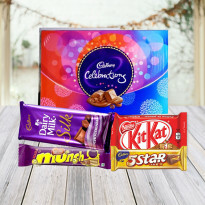 Just by going to our website, you’ll get to know that we have combinations of products like Ferrero Rocher, cute teddy bear, dairy milk chocolates to serve all your needs. You just have to order and relish. 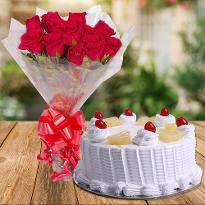 Eggless cake delivery in Vizag keeps in mind the preference of Vizag residents who are eggetarian and vegetarian. Life is made of little moments. 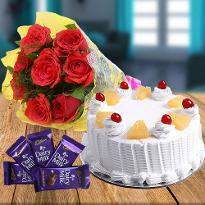 And to celebrate those little moments like promotions, securing a good rank in the exam, topping the sport etc, you can Order cake and flowers from Winni. 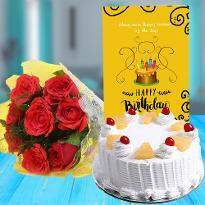 We work hard to provide you the seamless and delicious online cakes and flowers in Vizag. 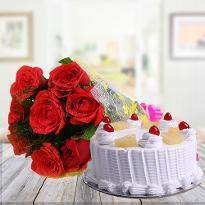 Send cake to Vizag to make your loved ones feel extra special. Relationships are a big part of life whether it’s mother-son, father-daughter, teacher-student, friends etc. To commemorate some relations, we need gifts and combos to express ourselves. 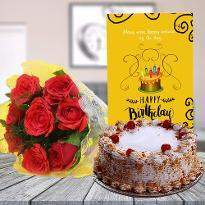 Midnight cake delivery in Vizag for friendship day or birthday. You just have to click your mouse a bit. 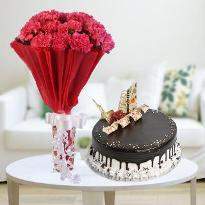 We do Cake and flower delivery in Vizag to amaze the guests at a party if you’re throwing a big one. It is said that what we focus on grows, and we focus on our customer and his needs/priorities. We take into consideration the feelings and design our product. The customers are the one who rules here. We have combos at command only for you, to satisfy you at any cost. 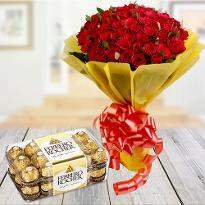 Send flowers to Vizag even when somebody is ill and recovering from bad health. Just to wish them a speedy recovery. 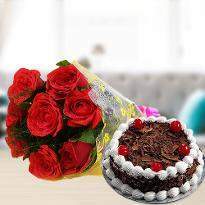 We at Winni have delicious cakes and beautiful flowers to melt your special someone’s heart and spreading good vibes in the environment. 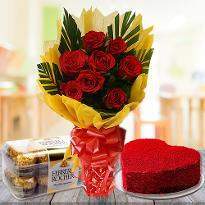 Flowers are truly those whose essence will soothe the lover’s heart and cakes as sweetener will add to the amazing bonding that you share with them. Not only valentines, but every day is an occasion to spread some magic in your love life. 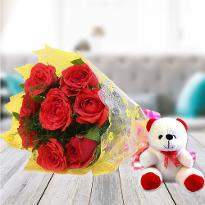 If you truly love and adore someone, our gifts and combos, like chocolates and teddies are cool enough to impress them and win their beautiful hearts. Even designer cakes can be ordered which will be a little expensive affair but will add to the celebrations. It will make your joy much more joyful than ever. Order from us and see how the receiver feels about you when you gift them a piece from your pocket. 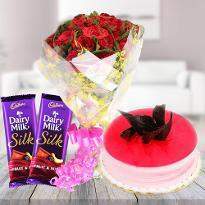 So, if you want to surprise your near and dear ones like never before but you are confused how you will do all these? 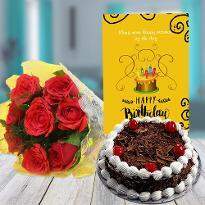 Don't worry, Winni team is here, just go for midnight cake and flower delivery. At the stroke of 12'O clock, your gift will be delivered. 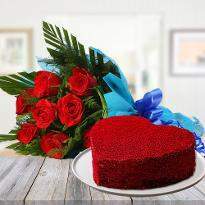 Of course, the receiver will remain spellbound for a while after receiving an amazing surprise from you. We at Winni, respects the sentiments of everyone. So, We always work to make the occasion or celebration more interesting.Our service creates the lasting effect and a lasting impression on the minds of our customer. 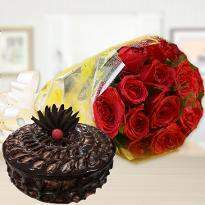 Flower delivery in Vizag to spread good vibes in the city with our variety of combos. This is the advantage that you get if you order at Winni’s. It is now a trend to have a cake-cutting ceremony at bachelorette/marriage party these days. 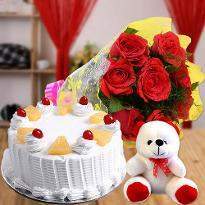 Choose cakes and cute teddies to for your friends. 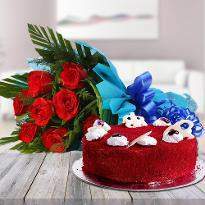 Send cake to Vizag and make merry with your bachelor friends. This is an event which comes in the life of a girl/boy for once. In short, it is a once-in-a-lifetime event. So preparations have to go accordingly. 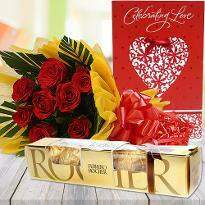 Send flower in Vizag to impress the bachelorette in your group. Earlier were the days of physical shopping where you have to reach the store and find the perfect gift. But with the boom in technology and rapidly growing online businesses are capturing a share in the online market. Everything is going on internet and internet penetration is too much. These days you just have to go to the particular website and shop accordingly. You have to add the items in the cart and you’re good to go ahead with your shopping list which is at your command! It is said that change is the only constant so going on with change we are online and you keep shopping with us! 1 town,104 junction, A u engg college, Adarsh nagar, Adivivaram, Aganampudi, Airport, Akkayyapalem, Allipuram, Anandapuram, Anandapuram visakhapatnam, Andhra university, Apsara road, Arilova, Asilmetta junction, Autonagar, Ayyappa nagar, B h p v, Baji junction, Balacheruvu, Balayya sastry layout, Beach road, Bheemunipatnam, Bhpv township, Bowdara road, Boyapalem Butchi raju palem, C m r road, Cbm compound, Chandram palem,Chavulamadham, Chengal rao peta, Chinamushidivada, Chinamushidiwada, Chinawaltair, Chinna gadili, Chinna gantyada, Chinnapuram, Chintalaagaraharam, Chintalapalem, Cmr central, Collector office junction, Convent junction, Dabagardens, Dakamarri,Dandu bazar, Daspalla hills, Dayalnagar,Dharma nagar,Diamond park, Dondaparthi,Durganagar,Duvvada,Dwarakanagar, East point colony, Gajuwaka, Gandhavaram, Gandhigram,Gandhigundam,Gangavaram,Gayatri engg college, Gidijala, Gitam university, Gnanapuram, Gollalapalem, Gopalapuram,Gorapalli, Gottupalli, Govt dairy farm,Green park road,Gudilova,Gudivada,Gurrampalem,Gurudwara, HB colony,Hanumanthawaka,Harbour approach road,Hindustan shipyard colony,Hpcl,junction Industrial estate visa, Ins kalinga, Ins satavahana,Islampeta, Isukathota,J v agraharam,Jagadamba, Jaggayyapalem,Jain temple road,K g h road,K uppada, Kailasapuram,Kancharapalem,Kirlampudi layout, Kommadi, Kothaparadesipalem, Kothavalasa, Kovvada, Krishna nagar,Krishna puram, Kuramannapalem, Kurupam market, L b colony,Lalitha nagar,Lankela palem,Lawsons bay colony, Leela mahal junction, Lic building, M v p colony, M v p double road, Maddi, Maddilapalem, Madhavadhara, Madhura nagar, Maharanipeta, Majjivalasa,Malkapuram, Marripalem, Marripalem b o , Marripalem s o, Marripalem vuda colony, Mindi, Modavalasa, Mopada, Municipal stadium road, Muralinagar, N a d, Nad kotha road, Nadupuru, Nagamayyapalem, Nagarajupalem,Naidu thota, Nakkavanipalem, Narasimha nagar,Narava,Narayanapuram, Natayyapalem, Nausenabagh, Naval base,Naval dock yard, Neelammavepachettu, New colony, Nggos colony,Nowroji road, Old dairy farm, Old gajuwaka, Old karasa, Old post office, P and t colony, P m palem, P r gardens,P t colony, Padmanabham, Pakeertekya, Pandarangi, Pandimetta junction, Pandurangapuram, Panthulu gari meda, Parawada,Peda waltair,Pedagadi Pedagadili, Pedagantyada, Pedamadaka, Peddipalem, Pendurthy, Penta, Pithapuram colony, Polipalli, Poorna market, Porlupalem, Port area, Pothinamallayapalem, Potnuru, Prahladapuram, Pudimadaka, Purushothapuram, R and b colony, R k beach, R p agraharam, R r v puram, Railway new colony, Railway station, Rama talkies road, Ramnagar, Rampuram, Ravada, Rayapalem, Reddy kancharapalem, Rednam gardens, Resapuvanipalem, Revidi Rockdale layout, Rtc complex, Rushikonda, Sagar nagar, Sakethpuram nad, Salagramapuram, Sampath vinayak temple, Sangivalasa, Sankaramatam road, Santhipuram, Saripalli, Scindia, Seethammadhara, Seethampeta, Sez, Sheelanagar, Simhachalam, Singannabanda, Siripuram, Sirlapalem, Sivajipalem road, Sontyam, Spring road, Sriharipuram, Steel plant, Sujata nagar b o, Sujatha nagar s o, Suryabagh, T p t colony, T s n colony, T v agraharam, Tallavalasa, Taruluvada, Tatituru, Thatichetlapalem, Town kotha road, Tunglam, Ukkunagaram, Urvasi junction, Vadlapudi, Vedullanarava, Velampeta, Vellanki, Vemulavalasa, Venkatapuram, Venkojipalem, Vepagunta visakhapatnam, Visakhapatnam airport, Visakhapatnam bus station, Visakhapatnam port, Visalakshinagar, Vuda layout, Waltair main road, Waltair uplands, Yarada, Yellammathota, Yellapuvanipalem, Yendada, Zilla parishad junction.